This Week In Basketball: One And Done Begins, And Now Every Game Counts…! It’s the most exciting time of the basketball season. High school tournaments move into the sectional semifinal round for the girls and the opening round for the boys…and nobody is taking anything for granted. His team had just posted an impressive road win to close out the regular season, and Troy Christian coach Ray Zawadzki was already focused on the future. 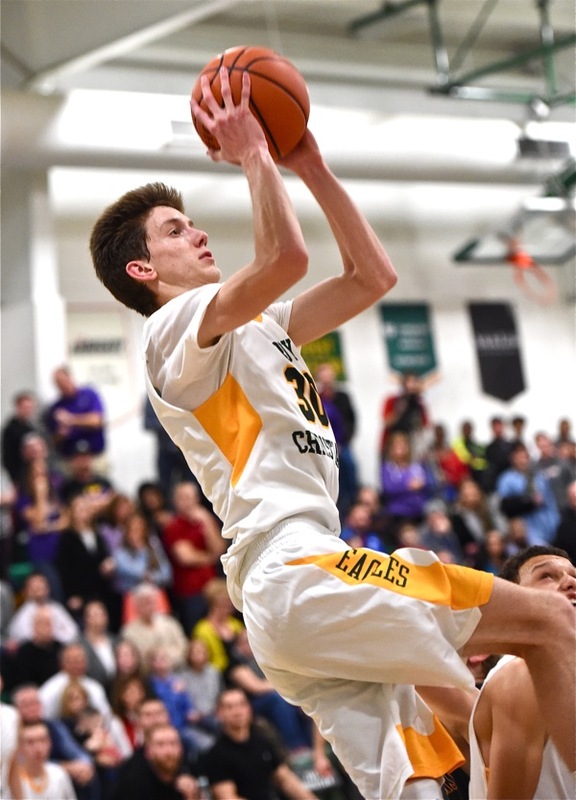 No team is hotter than the Eagles as boys tournament action tips off this week. Troy Christian claimed the Metro Buckeye conference title and will take an impressive 16-game winning streak into the post-season. Bethel, which ran the table in the Cross County Conference, has some questions as they get ready for their tournament opener February 28 against either Miami East or Greenon. Senior star, Caleb South, who missed most of the season with an injury before returning for 6 games, injured his left knee against Newton Friday night and missed the Troy Christian loss. His status for the tournament is uncertain. 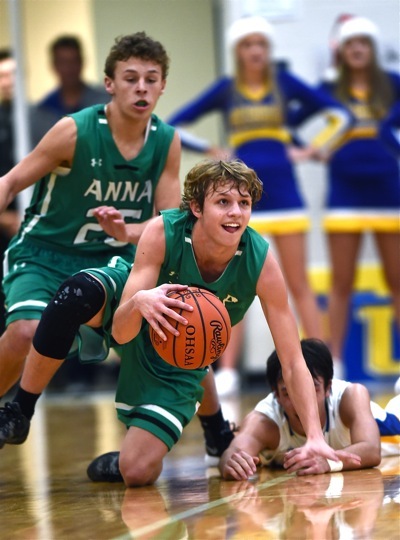 Wyatt Bensman and the Anna Rockets are 18-4, but their four losses have come by a cumulative margin of just 8 points. Make no mistake, though. South scored 46 points against Tri-Village last week, and his absence would be a huge loss for the Bees going forward. Other conference titles were claimed last week…and maybe the one that surprised the most people was Marion Local claiming the MAC title. The Flyers got off to a late start because of the football state championship, but have rolled through the conference schedule unbeaten heading into Friday’s season finale at home against Coldwater. The Flyers are big and play rugged defense, and will be a tough out when they open tournament play March 2nd at Lima Bath high school. The Shelby County League finished in a three way tie for the top, with Fort Loramie, Anna and Russia sharing the crown. Anna beat Loramie twice, Russia edged Anna twice, and the Redskins stopped the Raiders twice to set up the three-way deadlock. The Redskins, 20-2 and ranked 5th in last week’s state poll, open tournament play Saturday night against Mechanicsburg at Piqua High School. The 18-4 Rockets, whose four losses came by a total of 8 points, tip off the post-season Saturday against Dixie at Vandalia-Butler. Russia, which finished 13-8, has a first round bye and will play the Lehman-Covington winner on February 27th at Piqua High School. Sidney and Butler shared the GWOC North title after the Yellow Jackets scintillating 36-34 win over the Aviators last Tuesday. Both teams finished 12-3 in the division after lopsided victories on Friday. The 19-3 Aviators, featuring the second-best defense in the entire GWOC (behind Lebanon) get a first-round bye and will face the Fairmont-Xenia winner on Feb. 28. John Willoughby’s Yellow jackets, meanwhile, hit the post-season playing their best basketball. After a lackluster 7-5 start, Sidney won 9 of its last 10 games, with the only loss to state-ranked Trotwood. The Jackets face Troy Friday night at Trotwood, looking for their third win of the season over the Trojans. 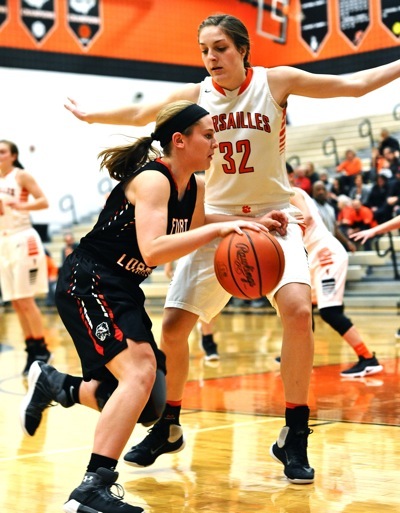 On the girls side…the top-ranked Lady Tigers of Versailles squashed Dixie in their tournament opener Saturday, and will be expected to do the same to Northridge Wednesday night in the sectional semifinals. The Tigers can play inside and out and have plenty of depth to make a long run at another final four appearance. Coach Jacki Stonebraker will make sure her club doesn’t look past anyone as they try to improve their 22-1 record. Danielle Winner and Versailles crushed Dixie in their first round game over the weekend; they’re expected to do the same when they face Northridge on Wednesday. The Tippecanoe Lady Red Devils cruised to their 10th straight win, demolishing Belmont 70-5 in one of those games that should have never been played. (It was 60-0 after three quarters.) Tipp is dealing with its own significant injury, as second leading scorer Allison Mader suffered a severe concussion in a scary fall during the season finale. Her return is doubtful. Red Devil fans did get some good news last week, when Alter, which had beaten the Red Devils each of the last three years at the Regional level, dropped their first-round tournament game. In Division Four, the Fort Loramie Redskins have their sights set on another sectional title. Carla Siegel’s club was one of the youngest in the area and started 5-4 against a very tough schedule. They have rebounded to win 12 of their last 13 games, including a 69-20 rout of Ansonia in their tournament opener on Saturday. The Redskins will face Lehman in the sectional semifinals on Wednesday. Minster finished 19-3 with a last second win over Fort Recovery last Thursday. The Wildcats won their first twelve games, before losing 3 of 5 by a total of 15 points. They have bounced back with 5 straight wins and will not be an easy out, given their big game experience and smothering defense. Finally, how about a little love for the Coldwater Lady Cavaliers? 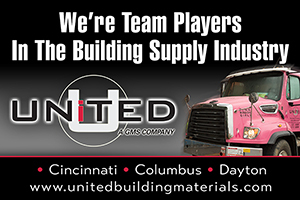 Connie May’s club started 3-5, losing to Versailles, Minster, Marion Local, Ottoville and Lima Bath. They swept their own holiday tournament to get back to .500, and haven’t lost since, a streak of 14 in a row heading into the post-season. The Cavaliers have good balance offensively, led by senior Kourtney Diller, who averages 13.7 points per game and has a team high 45 three-pointers. Sophomore Lauren Gilliland averages 11.3 points and 8.8 rebounds, while senior Maura Hoying fills the stat sheet with 10 points,4.7 assists,4.8 rebounds, and 3.5 steals. The Cavaliers aren’t just sliding by either. Their average margin of victory during their streak is an impressive 17.9 points per game. Coldwater opens tournament action Wednesday against Paulding at Lincolnview High School. It promises to be an exciting few weeks for fans and us at Press Pros. See you at the gym!